South Kesteven council, Lincolnshire; caused respectively by the resignation of Katherine Brown and the death of Terl Bryant at the age of 72. Both were Conservative councillors. Brown had served since 2015. Bryant had a much longer career in local government, having been first elected to South Kesteven district council in 1991; he served for All Saints ward from 1991 to 1995 and again from 1999 to 2007, before being first elected for this ward in 2011. He was chairman of South Kesteven council in 2002-03, sat in the district council’s cabinet from 2004 to 2007 and from 2011 to 2017, and had served as Mayor of Stamford. All three of this week’s by-elections are in what the railway posters used to call the “drier side of Britain”. We start this week in the south-western corner of Lincolnshire in the town of Stamford. Rated by the Sunday Times in 2013 as the UK’s best place to live, Stamford originally grew as a Norse centre: along with Derby, Leicester, Lincoln and Nottingham it was one of the Five Boroughs of the Danelaw. The town’s location was good, at the lowest crossing point of the River Welland, and Stamford became a major stopping point on the Great North Road. The legacy of this can still be seen on the town’s high street which is lined with seventeenth- and eighteenth-century buildings from the golden age of coaching, and proved so unsuited for modern traffic that Stamford was one of the first towns on the A1 route to be bypassed. The Stamford Bypass now forms the county boundary between Stamford and Rutland, and the western boundary of Stamford St John’s ward. The town name was important here for disambiguation purposes: until 2015 South Kesteven district had two St John’s wards, the other being in Grantham. 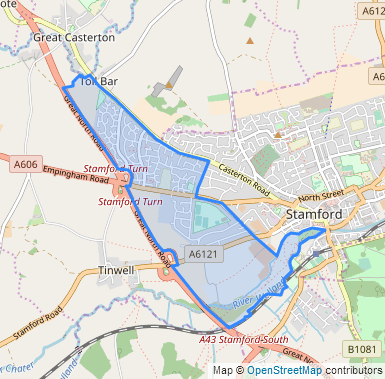 The Stamford St John’s ward is in the north-west and west of the town along the Casterton and Empingham Roads; at its centre is a primary school named after the conductor Sir Malcolm Sargent, who was brought up in Stamford. Much of the southern end of the ward is floodplain, and on its boundary is the southernmost point of Lincolnshire and the shortest boundary between two UK counties, a stretch of about 20 metres dividing Lincolnshire from Northamptonshire. Most of the housing in this ward is postwar with high levels of owner-occupation and employment. Appropriately for a town whose four wards are all named after churches, Stamford St John’s ward’s census return also shows high levels of Christianity. Sir Malcolm Sargent was a pupil at Stamford School, an independent school which also educated the composer Sir Michael Tippett, the Inspector Morse author Colin Dexter and several former MPs, although none currently serving. The school is located in Stamford St George’s ward, which covers the north-east corner of Stamford. This ward is a little further down the social scale than Stamford St John’s, although still pretty prosperous. 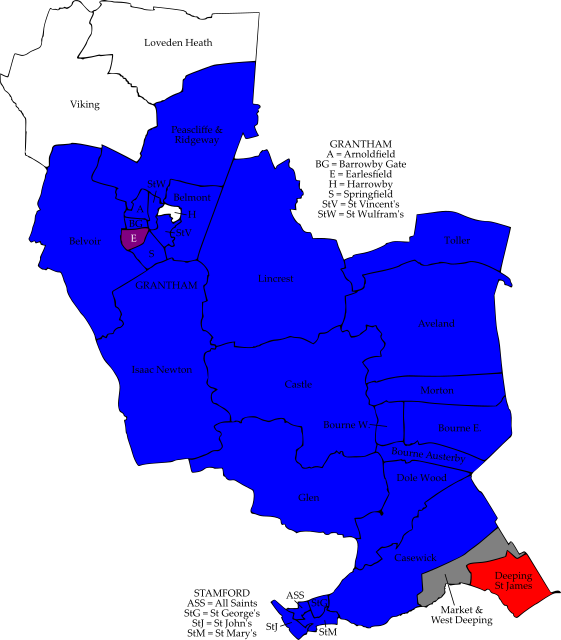 Both wards took on their current boundaries in 2015; the changes made to them in that year were minor, although Stamford St John’s ward did lose a councillor. They were safe Conservative that year, but that hasn’t always been the case: in particular, St George’s ward (as Stamford St George’s was known before 2015) has elected councillors from all three major parties this century. In the 2003 election it split its two seats between Labour candidate Joyce Gaffigan and Conservative Percival “Bob” Sandall, who were re-elected in 2007 as a Liberal Democrat and as an Independent respectively. Gaffigan retired in 2011 and her seat was gained by Conservative candidate Brenda Sumner, and the Conservatives’ Katherine Brown gained the ward’s other seat from Sandall (now standing for the Stamford Group of Independents) in 2015. Shares of the vote in 2015 were 33% for the Conservative slate – inflated by what appears to be a large personal vote for Brown who was nearly 350 votes ahead of her running-mate Sumner – 19% each for UKIP and the Stamford Group of Independents, and 16% for Labour. Stamford St John’s has a more straightforward history, being a Liberal Democrat ward from 2003 until the Conservatives gained it in 2011. The Tories went down from three seats to two in the 2015 election, but that was down to the Boundary Commission removing a seat from the ward. Shares of the vote in 2015 were 49% for the Conservatives, 29% for the Stamford Group of Independents and 22% for UKIP. Defending Stamford St George’s for the Conservatives is Rachael Cooke. The Stamford Group of Independents candidate is Gloria Johnson, a Stamford town councillor for this ward and checkout supervisor at a local supermarket. With UKIP not returning, the St George’s ballot paper is completed by Labour’s Christopher Dennett, the Greens’ Gerhard Lohmann-Bond and the Lib Dems’ Jack Stow. 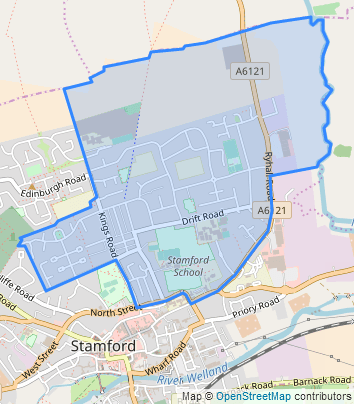 In Stamford St John’s ward the Tory defence is led by David Taylor, a charity fundraiser who was elected to Stamford town council in 2015 on the Stamford Group of Independents slate. Another Stamford town councillor, Steve Carroll, is standing as an independent; judging by his Twitter handle (@protectstamford) he is an anti-development candidate. Again, UKIP have not returned, so the ballot paper is completed by the Lib Dems’ Harrish Bisnauthsing – councillor for this ward until 2011 – Labour’s Cameron Clack and Simon Whitmore for the Green Party. Redcar and Cleveland council, North Yorkshire; caused by the resignation of independent councillor Mike Findley on health grounds. He was diagnosed with motor neurone disease in 2005, and told at the time that he had between two and five years to live. Cllr Findley didn’t let that get to him: his charity, the Mike Findley MND Fund, has raised nearly £200,000 for research into the disease, and Findley was appointed MBE for his efforts. Originally from London, Mike Findley had a 34-year career with Royal Mail before entering politics in 2003; he had been a Redcar and Cleveland councillor from 2003 to 2011 when he retired for the first time, and again since 2015. He was Mayor of Redcar and Cleveland in 2008-09. For our final by-election of the week we travel to the coast of what was once the North Riding of Yorkshire. Longbeck ward is just to the south-east of Redcar and is based on the western end of Marske-by-the-Sea together with the village of New Marske, which was once a mining settlement in the Cleveland hills. With ironstone mining in Cleveland having long ended, the ward’s economy was traditionally underpinned in recent years by commuting to the Teesside conurbation and particularly the Redcar steelworks – in the 2011 census Longbeck was in the top 20 wards in England and Wales for Apprenticeship qualifications and in the top 50 wards for the census “lower supervisory, technical” employment group. The closure of Redcar steelworks since 2011 means that those stats are now rather seriously out of date; nonetheless, there has been strong population growth here during the 21st century, and the ward was redrawn for the 2003 election with a relatively low electorate to allow for that. Longbeck ward’s previous election results are unusually complicated, so please bear with me. In 2003 it elected two Conservatives, Norah Cooney and Vera Moody, together with Findley. 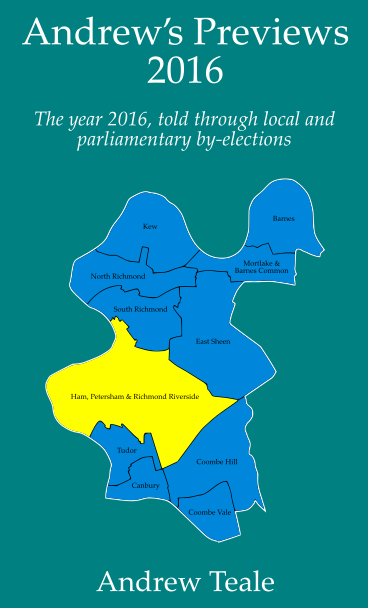 Those three councillors were re-elected in 2007 from a long ballot paper which featured two different candidates both called Norman Brown – one independent, one Lib Dem. In 2011 Findley retired and Moody lost her seat: the new councillors were Lib Dem Victoria Reyer and Labour candidate Vic Jeffries, producing a rare three-way split between the three main parties. The good Lib Dem performance reflected the party’s unexpected gain of the Redcar parliamentary seat the previous year. Both Reyer and Jeffries sought re-election in 2015 as independent candidates for Longbeck ward. Reyer had left the Lib Dem group in 2013, while the Labour group in Redcar and Cleveland had split down the middle shortly before the 2015 election with Jeffries on the dissident side. Perhaps in an ironic reflection of that split, the official Labour slate here in the 2015 election was headed by Sheila Argument. 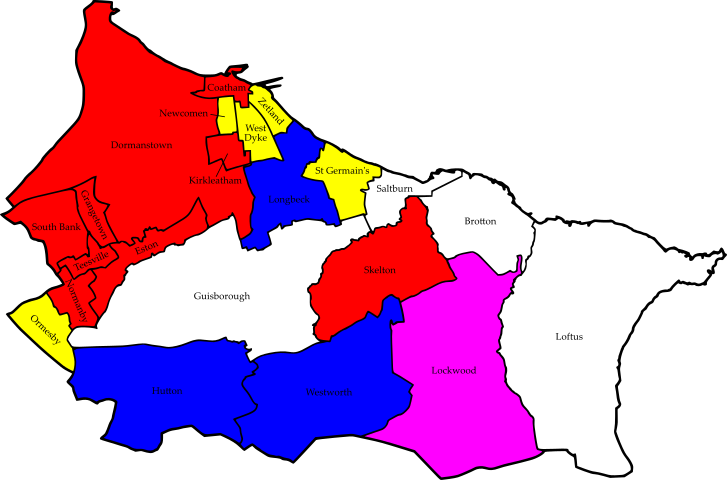 None of those candidates won; Conservative Norah Cooney was re-elected at the top of the poll, Mike Findley successfully returned in second place and the third seat went to UKIP candidate Steve Turner, who beat Argument by 80 votes to become the only UKIP member of Redcar and Cleveland council. With so many independent candidates and partial slates percentages of the vote are perhaps not too good a guide here; but for the record, in 2015 they were 26% for the Conservatives, 22% for Findley, 20% for UKIP, 18% for Labour and 14% for the Lib Dems. Vic Jeffries went on to contest the by-election last October in the neighbouring St Germain’s ward, coming fourth out of six candidates as the Lib Dems easily held a seat they were defending there. Confused? You will be. The continuity independent candidate is Vic Jeffries, Labour councillor for this ward from 2011 to 2015, who has continued to attend council meetings and functions since his defeat in his capacity as Mike Findley’s carer. The Conservatives have selected Vera Rider, who was their unsuccessful candidate here in 2007; she is the vice-chairman of Saltburn, Marske and New Marske parish council and runs a community group in New Marske. The official Labour candidate is Darcie Shepherd, an 18-year-old A-level student from Saltburn. 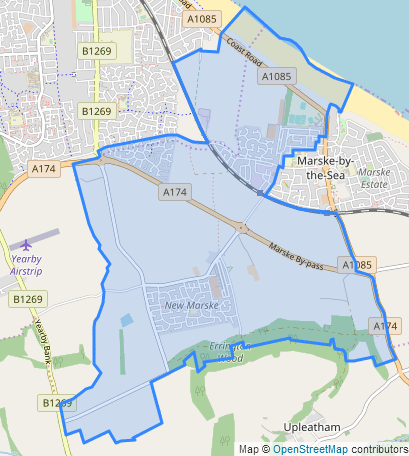 Standing for the Lib Dems is another former Labour figure, Marske-by-the-Sea resident Marilyn Marshall who fought St Germain’s ward on the Labour ticket in 2011 and 2015. With UKIP not returning, that is your four-way ballot paper.